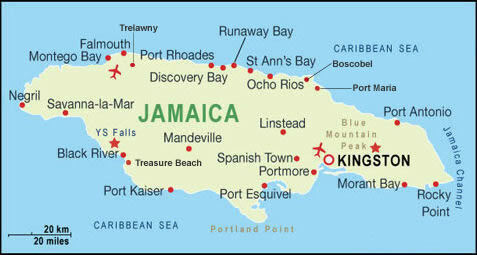 Montego Bay is a Jamaica's second city with Jamaica's largest airport, the Sir Donald Sangster International Airport. Montego Bay is known for its duty free shopping and cruise line terminal at its Free Port on a beautiful, man made peninsula jutting into the bay. Its sheltered Doctor's Cave Beach with clear turquoise waters is one of the most famous beaches on the island. The bay is surrounded by hills covered by lust tropical vegetations. Holidays in Montego Bay attract a wide range of visitors of all ages. Younger visitors enjoy the lively nightlife while families enjoy the quieter Montego Bay beaches and hotels. Whether you've booked a cheap holiday to Montego Bay or something more extravagant, you'll find a mind boggling choice of activities to suit every budget. Holidays in Montego Bay can mix Montego Bay hotel entertainment with the lively nightlife scene along the Gloucester Road seafront. Montego Bay hotels often provide transport to and from the action. Montego Bay has the greatest choice of watersports in Jamaica, try your hand scuba diving, snorkeling, glass bottom boat ride and other watersports such as deep sea fishing, sailing, jet skiing, parasailing, water skiing and windsurfing. Take a shopping excursion to the city center duty free shops and craft market or visit Montego Bay Marine Park, Glistening Waters in Falmouth, Croydon Coffee Plantation, horse back riding, MoBay UnderSea Tour, Barnett Estate Plantation, Widowmaker's Cave, Rafting on the Martha Brae, go golfing at Tryall Golf Course, Agua Sol theme park, the Bob Marley Experience and the Jamaica Swamp Safari (Crocodile Farm).